What Would a Manafort-Trump Joint Defense Pact Mean? UPDATE: After this article was published, multiple reports on Friday confirmed that Paul Manafort agreed to cooperate in the Russia investigation, which would call for an end to a joint defense agreement between his lawyers and others representing Trump and his allies. Since joining the president’s criminal defense team, Rudy Giuliani has proven he is worth his weight in gold. Not to Donald Trump, whose interests he’s undermined at every turn, but to the public and the press, which have gained a wealth of insights into the legal brain trust, if one can call it that, fighting back against Special Counsel Robert Mueller. The former mayor’s latest disclosure is that Paul Manafort, Trump’s onetime campaign chairman and now convicted felon, remains in a joint defense agreement with the Russia investigation’s worst antagonist: Trump himself. 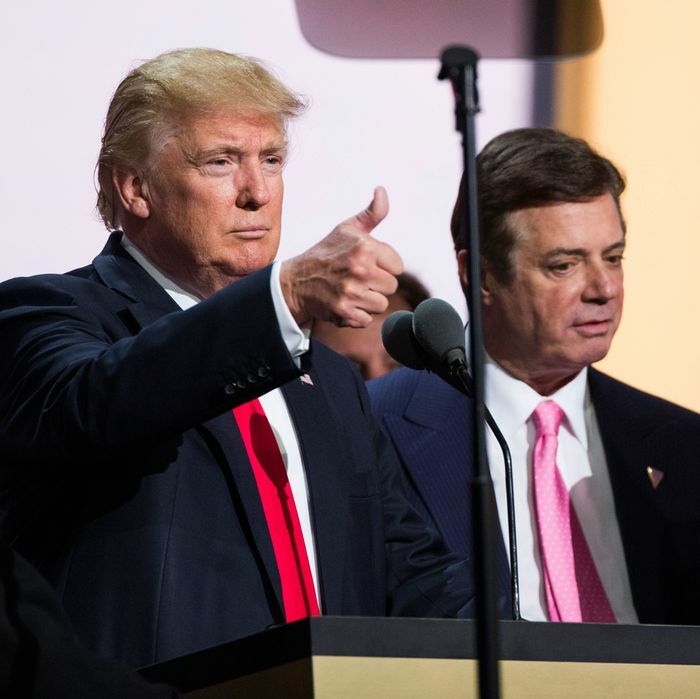 What Would a Manafort–Trump Joint Defense Pact Mean?